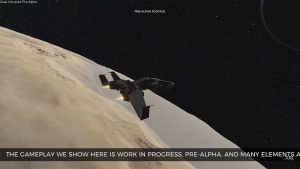 The power to create is very real in Dual Universe by Novaquark. 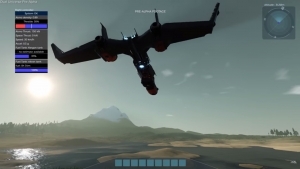 “Voxel” lends people to think of just cubes, Dual Universe’s proprietary voxel engine affords far more control in the manipulation of the world – as well as the universe. At a simple level, players can place and manipulate fully editable blocks that come in all shapes and sizes as they build canyon-filling cities or spaceship fleets. For players who want to get a little more granular, this voxel engine allows them to terraform at will, carving away at a planet’s surface, and digging complex cave systems that could one day house an organization’s base of operations. This power to create is only heightened when combined with Novaquark’s innovative CSSC technology (continuous single-shard cluster), which allows the game’s entire player base to exist in one single persistent universe, seamlessly weaved together with no loading screens to create an ever-evolving sci-fi metaverse. 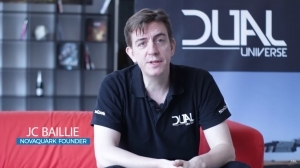 Developed alongside the vision of Novaquark founder, scientist, and Artificial Intelligence expert Jean-Christophe Baillie, Dual Universe is an ambitious civilization-building MMO that seeks to push the boundaries of community involvement, allowing its players to quite literally shape the universe others will join from the ground up, all thanks to the power of voxels and human creativity. The June 2017 DevDiary for Dual Universe covers so many important topics: Improvements to the Physics Engine, More Voxel Tools, Remote Piloting and more!